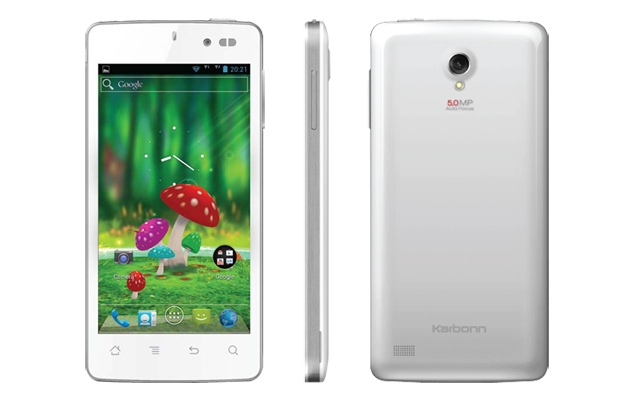 As predicted earlier Karbonn has launched a preview of its smartphone which is called the Karbonn S1 Titanium which will be powered by a Quad Core Processor. This smartphone will be competing with the recently launched Micromax A116 Canvas HD. There will be heavy competition as these devices will be launched in the Market. While there are no official dates when the Karbonn S1 Titanium will be launched, the Micromax Canvas HD will be launched in the first week of February. Karbon S1 Titanium will feature a 4.5 inch qHD display which has a resolution of 540 x 980 pixels. There is no information as of now about the screen type used. The device will be powered by a 1.2 GHz Quad Core processor which will be supported by 1 GB of RAM. Don't be surprised by these specifications as these specs will be the new bench marks of upcoming smartphones. You might see more devices coming with these kind of specifications later on this year. A 5 MP rear camera has been provided with Auto Focus and a Flash for photography. This smart device will be running on Android 4.1 Jelly Bean straight out of the box. We will have to wait till the smartphone is launched to know more about the device such as the type of processor, the GPU and lots of other features. Do let us know about your views and comments by commenting below. Do share this article on Facebook or Twitter with your friends and families by using the buttons below.